Is Catholicism a False Gospel Just Like Mormonism? The Mormon Temple in Salt Lake City and Il Duomo Roman Catholic Cathedral in Milan. For me as a committed Protestant, this subject of Catholicism’s theology on the gospel, justification, and works is quite complicated. I’m not going to answer all the questions here, because I’m just not competent enough to do so, and I’d rather be spending my time in other areas I feel more important to my ministry. So please offer me some grace even if you disagree with my conclusions. If you want more competent authorities on the matter, I offer three sources: 1) Norm Geisler and Ralph MacKenzie’s “Roman Catholics and Evangelicals”, and Geisler’s recent statement in “The Evangelical Dictionary of World Religions”: “These doctrinal similarities are too strong to place a non-Christian label on the essential doctrines of official Roman Catholicism” (“Roman Catholicism,” [Baker, 2018], 434), 2) Ken Samples, “Is the Catholic Church Christian?” and “Is Catholicism a Cult?,” and 3) Francis Beckwith’s “Return to Rome”. (The latter is written by a former top evangelical apologist and a former president of the Evangelical Theological Society, who went back to his Catholic roots.) 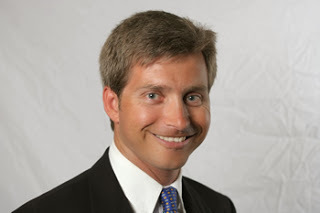 I do think it’s important to note from Ken Samples above “that the majority of evangelical Protestant theologians and scholars who are knowledgeable concerning Catholicism would be perplexed to hear Catholicism classified simply as a ‘non-Christian religion’ or an ‘anti-Christian cult’” (“Is the Catholic Church Christian?”). Even the greatest Christian apologist today, William Lane Craig, has stated that Catholicism is part of “Mere Christianity.” This could not be the case if these scholars understood Catholicism to be in fact teaching a false gospel. “Trying is [n]ot [s]ufficient [n]or is repentance complete when one merely tries to abandon sin. To try with a weakness of attitude and effort is to assure failure in the face of Satan’s strong counteracting efforts. What is needed is resolute action. …This connection between effort and the repentance which attracts the Lord’s forgiveness is often not understood. …[Concerning the woman caught in adultery,] [t]here seems to be no evidence of forgiveness. His command to her was, ‘Go and sin no more.’ He was directing the sinful woman to go her way, abandon her evil life, commit no more sin, transform her life. He ways saying, Go, woman, and start your repentance; and he was indicating to her the beginning step – to abandon her transgressions. …[W]hen she had done these things the forgiveness of the Savior could overshadow her and claim her and give her peace. (The Miracle of Forgiveness, 164-6). Furthermore, in LDS categories, Christ didn’t even die for all sins since some sins are not forgivable (e.g., killing and subsequent offenses of adultery in D&C 42, and also LDS leaders’ past teaching on one’s own blood atonement for certain grievous sins). This is certainly all something Catholicism would doctrinally disagree. The subject turns on the role of works in Catholic theology. Do those works invalidate the true gospel making it a false gospel or is the true gospel simply packaged in a way that’s confusing to the hearer? There’s a really important difference here. It reminds me of the Positive Confession speakers’ claim that we are begotten gods. Walter Martin made the controversial claim that these guys are still Christians. (Martin also, by the way, held that Catholicism wasn’t a cult or heretical to the extent that it would qualify as “non-Christian” even though he certainly had problems with it. Even after his debate on the John Ankerberg Show against Father Mitch Pacwa, SJ, Walter Martin [according to his daughter Jill] regarded him as a brother in Christ. Further, Martin had Pacwa on the editorial board of the Christian Research Journal and had him, among other ordained clergy, lay hands on Martin in his Southern Baptist ordination [Beckwith, Op. cit., 42-3]. Such would be impossible if Walter knew Pacwa’s doctrines were damnable heresy. I used to go to Walter’s Sunday school class while in college, I used to regularly listen to him on the Bible Answer Man Program, and I would attend a number of his lectures. In fact, I was looking forward to being his intern at the Christian Research Institute for the fall semester of 1989 when he suddenly died in June of that year. The phrase “Catholic, Protestant, and Orthodox” was continuously used by him to bring the weight of the authority of the historical Church against any heresy. Perhaps long before I knew him Martin was more disparaging of Catholicism. Nonetheless, the Roman Catholic Church was never included in his standard textbook of the cults—The Kingdom of the Cults. Also, by the way, the new General Editor for that book, the well-known Christian apologist Ravi Zacharias, with the endorsement of Martin’s family, has continued to keep Roman Catholicism out of it. When asked specifically, Zacharias wouldn’t label Catholicism as a cult.) Robert Bowman in his article on various views of deification says that the Positive Confession view isn’t easily classified. These Positive Confession speakers clearly affirm monotheism, and yet they speak in such a convoluted way. There’s a fundamental problem with the Protestant mind when it comes to thinking in the Catholic categories of justification. Catholics conflate the clear distinction that Protestants have made between justification and sanctification. The Council of Trent put it this way: “[J]ustification itself, which is not only a remission of sins but also the sanctification and renewal of the inward man through the voluntary reception of the grace and gifts whereby an unjust man becomes just and from being an enemy becomes a friend, that he may be an heir according to hope of life everlasting” (Chapter VII). Catholics teach a difference between initial justification and justification that ought to follow throughout one’s life. The former is what Protestants typically mean by “justification.” The other justification for Catholics is a matter of staying justified by works. Now if a Protestant objects that this latter type of justification is not about works, then they would not simply be objecting to Catholicism, but to many other branches of Protestantism as well. The objecting Protestant (typically one of a more Reformed bent) would also have to conclude that these other branches of Protestantism are outside of Christianity and preaching a false gospel. That’s a pretty hard pill to swallow. These other branches of Protestantism affirm that performing works of righteousness may be freely abdicated after our conversion, and thus, one’s salvation may be lost. I disagree with this position and hold to the eternal security of the believer, but that’s beside the point. They are all Christians who affirm the true gospel that our salvation on behalf of all our sins is ultimately given as a gift from God through the sacrifice of His Son. The Council of Trent in chapter IX is clear that none of us can be absolutely certain that any of us have received the forgiveness of sins. After all, Paul did say to test ourselves to see whether we are in the faith (2 Cor. 13:5). As a result, chapter X talks about being further justified by one’s “faith co-operating with good works.” One of the arguments given here is James 2:24: “Do you see that by works a man is justified, and not by faith only.” So continued justification is just as biblical as what the Protestants mean by “sanctification.” Then in chapter XI it goes on to talk about how Jesus taught that if we love Him, then we keep His commandments (Jn. 14:15). Earlier Jesus ties belief with obedience when He says, “He who believes in the Son has eternal life; but he who does not obey the Son will not see life, but the wrath of God abides on him” (Jn. 3:36). John is clear in his epistle that we know that we love Jesus if we keep His commands, and if we say we love Him and don’t keep His commands, then we’re liars (1 Jn. 2:3-4). Hence, “the necessity” of keeping His commands. There’s nothing that a Protestant should disagree with here per se. Of course and again, a certain type of more Reformed Protestant may object to an understanding of this necessity of keeping the commands implying a loss of one’s initial justification if the commands aren’t followed, but as Trent stated the issue above, it’s all biblical and every Protestant should uphold that. At this point, a Protestant may object by saying that Catholics are still teaching a false gospel, since the initial justification is dependent on baptismal regeneration whether that be for an adult or an infant, and belief is certainly ruled out for the latter. However, again one would have to exclude various Protestant denominations that hold to the same means of initial justification. Again, a pretty hard pill to swallow. Certainly the nature of belief is up for debate here and is a secondary issue to the nature of the gospel itself, viz., that Christ paid for all our sins, He resurrected, and invites sinners to currently live in His kingdom by learning to live life as He would live (cf. Mat. 4:23 and 1 Cor. 15:1-5). Such debates on the nature of belief have to do with how individual beliefs arise in a context of community. Nonetheless, there is no passage of scripture that explicitly says that not getting the right answer here lands one in hell. Speaking of hell, the final issue I’ll address concerns the issue of “anathema” the Catholic Church has offered from the Council of Trent in reaction to Protestantism. Canon 30, for example, says, “If anyone says that after the reception of the grace of justification the guilt is so remitted and the debt of eternal punishment so blotted out to every repentant sinner, that no debt of temporal punishment remains to be discharged either in this world or in purgatory before the gates of heaven can be opened, let him be anathema.” Is this the gospel and does this entail that those who reject this are cursed of God and not saved is that they are outside the Church of Christ? Even if that is what is meant by anathema, this is no reason to hold that this entails a false gospel. Believers who have received the grace of justification may still have to be punished by God for their own transgressions, because “whom the Lord loves, He also chastens” (Heb. 12:6). David had imputed righteousness apart from works (Rom. 4:4-8), but the Lord still chastened him in taking his son who was the product of adultery. Whether the Lord metes out punishment in this life or the next prior to entering paradise, what real difference does it make? Even though I take it that the Bible never says anything about a temporary punishment for believers after this life, that doesn’t entail such could not be the case. To conclude this would be based on an argument from silence, and that’s fallacious. Now even if The Lonely Pilgrim is wrong on all this, I don’t see why a group of believers being hyper-exclusionary of one’s judgments marks them as “false Christians” or “heretics,” who teach a false gospel and land them in hell anyway. I don’t see the chapter and verse on that either, and again, we can easily think of other Protestant Christian groups who act in this way. R.M. Sivulka is the president of Courageous Christians United which is an outreach to Mormons, Jehovah’s Witnesses, and Muslims. Mr. Sivulka reside in West Jordan, UT with his wife Tara, and daughters. Originally published January 19, 2016 on the Courageous Christians United website. Reprinted with permission. Please note that this article was updated on February 1, 2019. 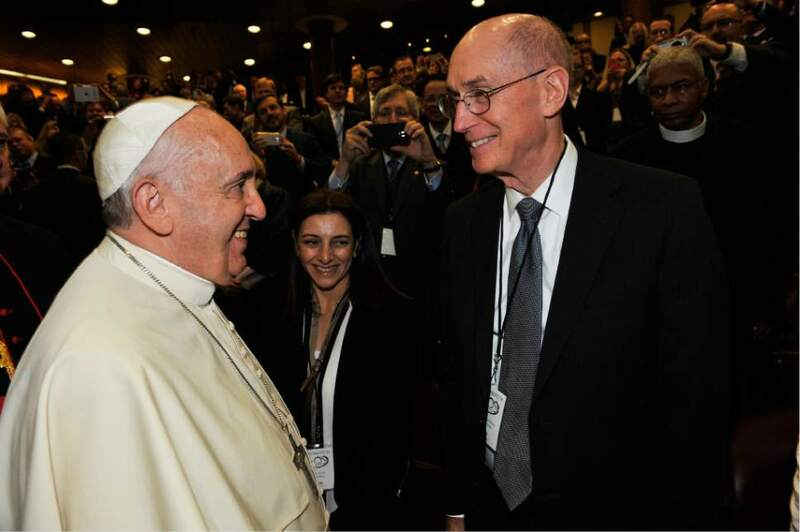 Pope Francis and Henry B. Eyring First Counselor in the First Presidency of The Church of Jesus Christ of Latter-day Saints. At a 2014 Vatican Summit of religious leaders on marriage.